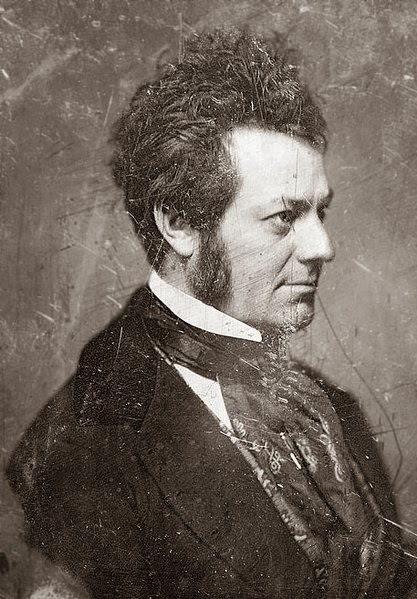 PODCAST England’s great thespian William Macready mounted the stage of the Astor Place Opera House on May 10, 1849, to perform Shakespeare’s Macbeth, just as he had done hundreds of times before. But this performance would become infamous in later years as the trigger for one of New York City’s most violent events — the Astor Place Riot. 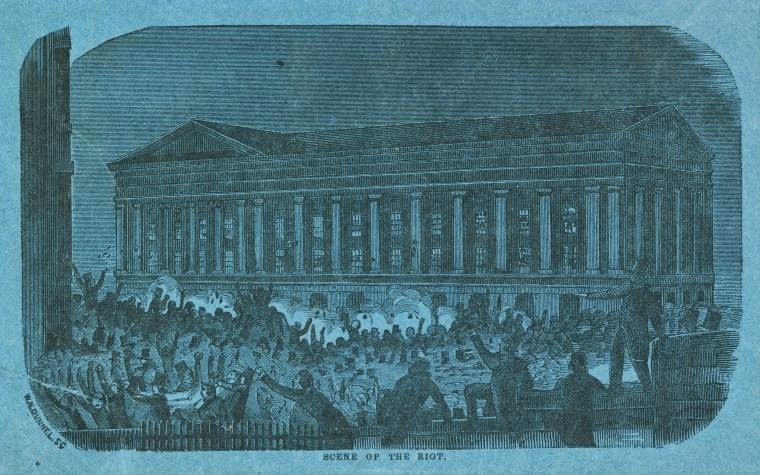 The theater, being America’s prime form of public entertainment in the early 19th century, was often home to great disturbances and riots. It was still seen as a British import and often suffered the anti-British sentiments that often vexed early New Yorkers. On May 10th, these emotions overflowed into an evening of stark, horrifying violence as armed militia shot indiscriminately into an angry mob gathering outside theater at Astor Place. By the end of this story, over two dozen New Yorkers would be murdered, dozens more wounded, and the culture of the city irrevocably changed. To get this week’s episode, simply download it for FREE from iTunes or other podcasting services, or get it straight from our satellite site. RIOT OR RIOTS? 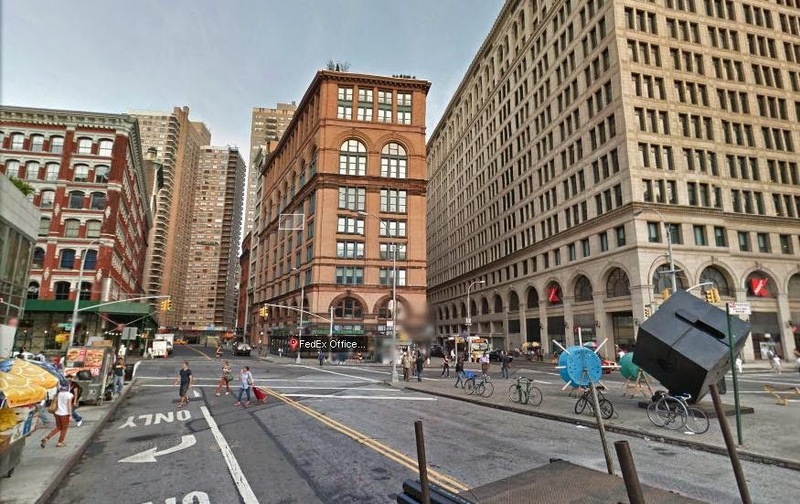 You may have noticed in our podcast that we go from calling it the Astor Place Riot and the Astor Place Riots. We both saw primary references to both the singular and the plural. 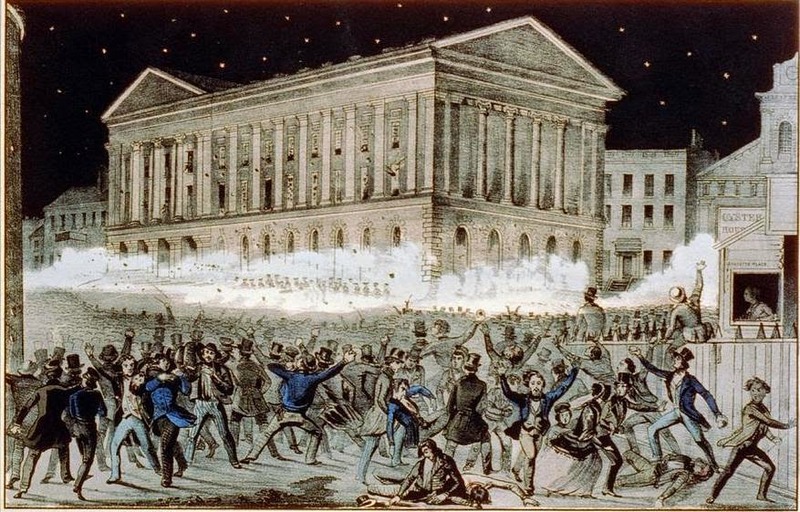 Though it was just one riot which occurred on May 10, the incidents on May 7 and May 11 constitute smaller riots or disturbances that lead up or were the result of the May 10 event. 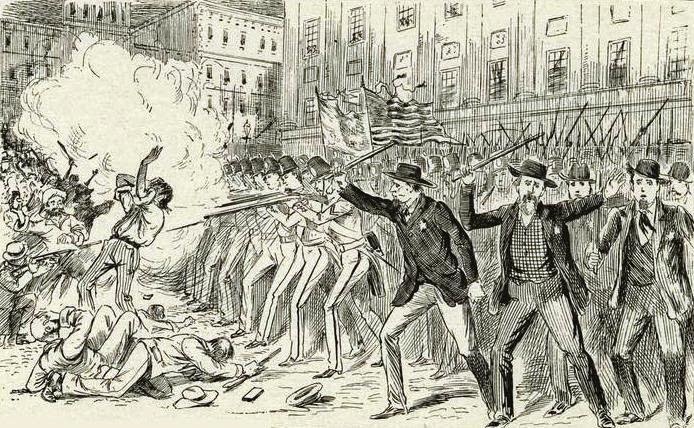 The word ‘riot’ is even funny as it starts as a riot and ends as a massacre. CORRECTION: In the podcast, I mention that John Jacob Astor lived in the line of stately buildings today known as Colonnade Row. 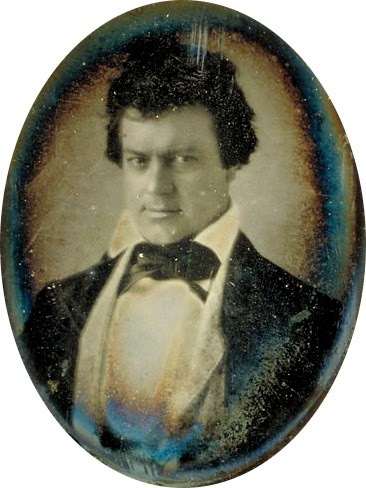 Although he built them, he never lived here. 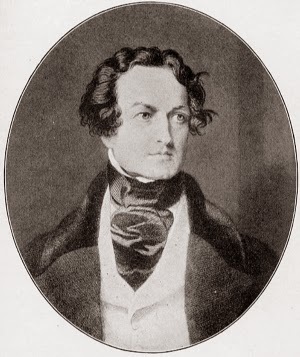 However he moved his family into them, including his grandson John Jacob Astor III. Cornelius Vanderbilt and Washington Irving also lived here. 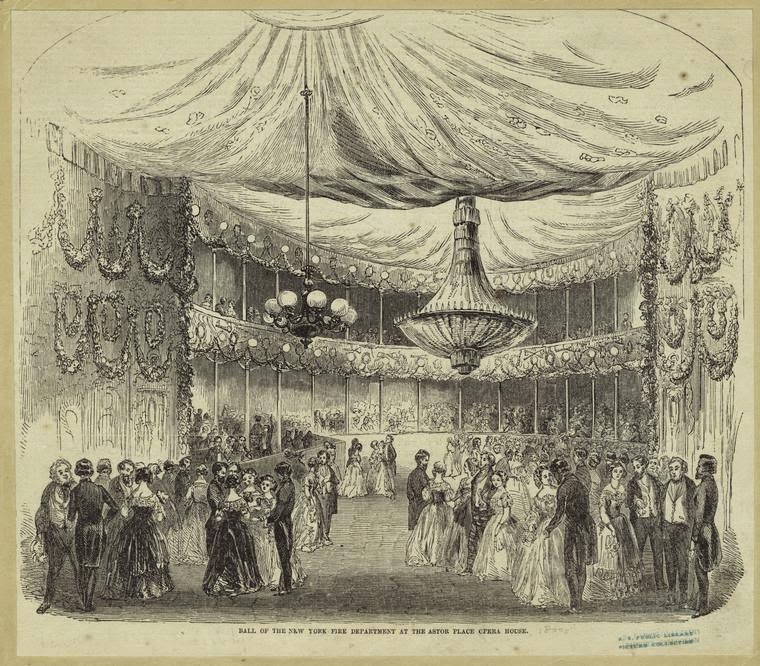 Inside the Astor Opera House, one of the most lavish spaces in all of New York in the 1840s. Curiously, this illustration depicts a ball for the New York Fire Department. 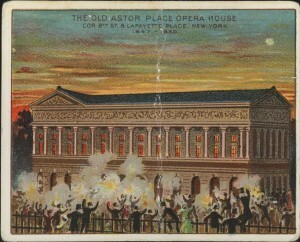 Many members of the volunteer fire departments actually set upon the opera house as part of the angry mob. 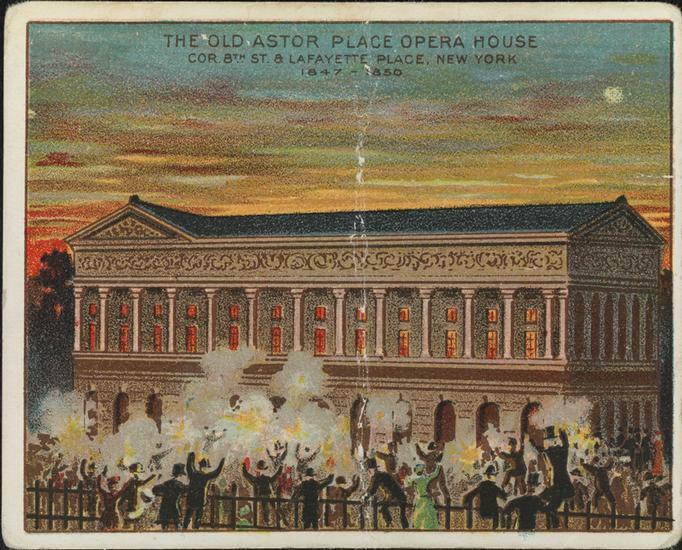 After the riots, the opera house quickly lost its cache. 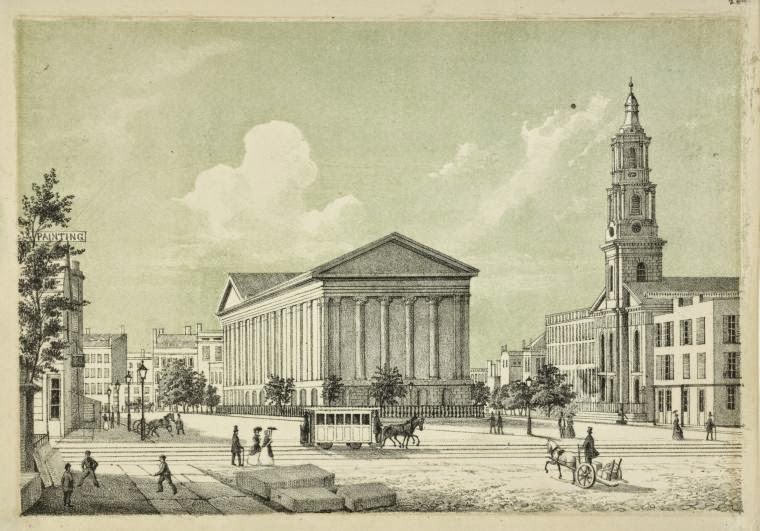 High society moved uptown to the Academy of Music (not so far away actually, on 14th Street, near Union Square). 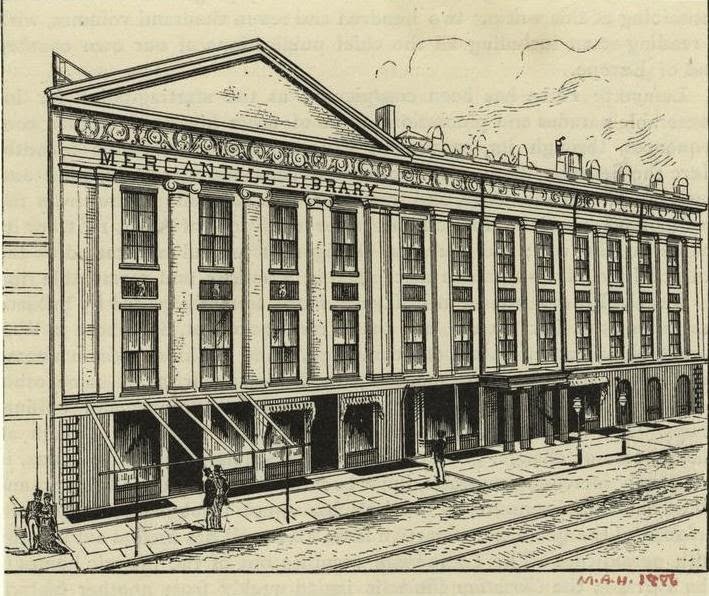 The interior of the theater was eventually demolished and sold to the New York Mercantile Library and renamed Clinton Hall. 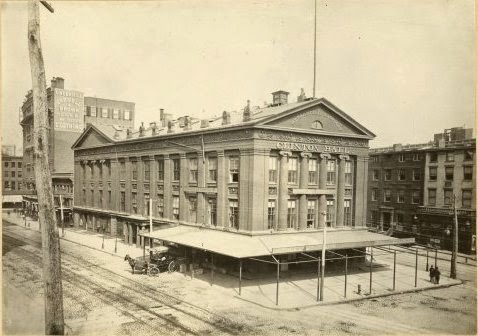 This was torn down in 1890 and replaced with the 11-story structure that stands there today. 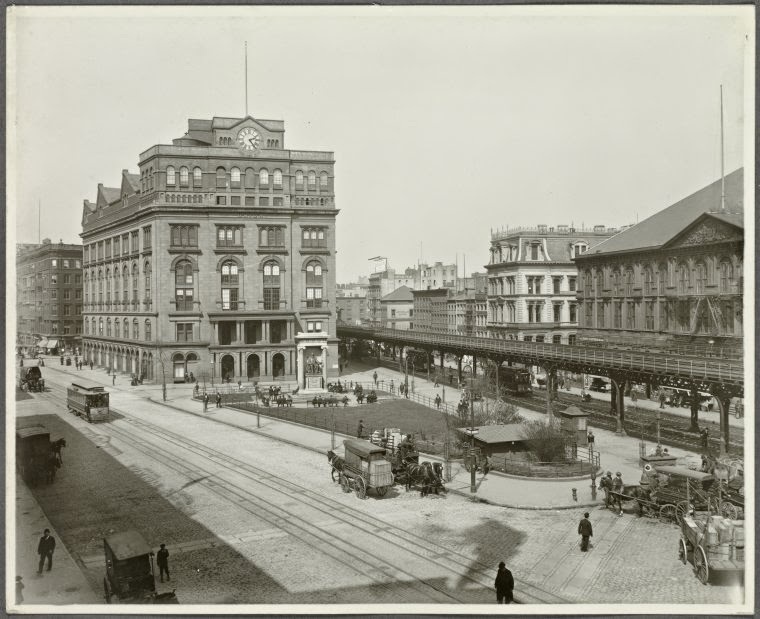 Most images above courtesy the New York Public Library (except where otherwise noted). We thank them again for being an invaluable resource for New York City history!